Botox is a brand name of the injectable botulinum toxin. Other brands of botulinum toxin are Dysport, Azzalure and Bocouture. The injectable has been used in medicine since 1995 and is by now the most well-known treatment in the cosmetics industry. Signs of ageing, such as frown lines or fine wrinkles, can be caused by the contraction of the muscles in the face. The injectable reduces this muscle activity. Frown lines, crow’s feet and forehead wrinkles are made less pronounced through very fine injections. Van Lennep Kliniek is the specialist for Botox treatments in The Hague or Oegstgeest. The cosmetic doctors are certified by the NVCG (Dutch Association of Cosmetic Medicine), have extensive experience and only use botulinum toxin from the safe top brand Allergan. Ludy Holst is the Botox specialist in The Hague. She has been working in the sector for over 10 years and by now she has performed tens of thousands of treatments on both men and women. Dr Ludy Holst graduated as medical doctor at Leiden University, has followed specialist courses, gained experience in renowned clinics and regularly attend conferences in the Netherlands and abroad. Our cosmetic doctors are certified members of the professional association NVCG. Every treatment starts with an in-depth conversation. All wishes, requirements and possible fears are discussed. Cosmetic treatments may no longer be taboo, but sometimes people are still hesitant. Does a treatment hurt? Does it have an addictive effect? Will the result look natural? Under the care of our doctors, you don’t have to worry about these matters. Some people unintentionally have a somewhat grumpy expression. This can be caused by frown lines that mark the skin. Fine lines around the eyes are also not always desirable. Treatment with botulinum toxin is the solution to soften wrinkles, but also to prevent them. The treated areas will relax, which gives a nice feeling. The doctor or consultant will first do an intake interview. Then a personalized treatment plan will be designed. After all, a Botox treatment for the lips requires a different approach than a treatment around the eyes. A combination of various skin-improving treatments is also possible. When performing a Botox treatment, Ludy or Gitte will gently place the injections. First she will locate the muscles. Prior to giving the injections she may also ask you to give her an angry/frowning or very surprised look a few times. This can be the case when forehead wrinkles are being treated, for instance. Do you have a medical indication for the treatment? For example because you are suffering from migraines? Also in that case, combination treatments are available. Our doctors are happy to inform you about them. The very fine injections cause a short-term pain due to the little prick, which will fade within a few seconds. An anaesthetic is usually not necessary, but it is possible to use one. A very small amount of the substance will be administered at a uniform distance. Ludy and Gitte ensure that after the treatment at the clinic you can resume your daily routine as usual. A beautiful mineral make-up will neatly mask a slight redness. After about a week you’ll see the results of the treatment. After about two weeks you return to Ludy or Gitte for a check-up, and to see if the desired end result has been achieved. Botulinum toxin by Allergan is an extremely safe medicine and can be applied repeatedly without problems. Many people suffer from tension headaches or (chronic) migraines. The exact cause of most types of headaches is very difficult to determine. However, there are indications that increased tension in certain muscles may play a role. 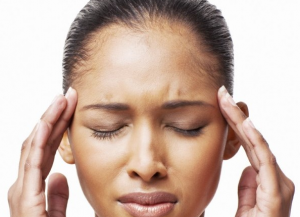 Botulinum toxin has been shown to be able to relieve headaches and also reduce their frequency. This makes the injectable an effective tool for the treatment of various forms of migraines caused by an increased muscle tone. Ludy or Gitte will give a number of injections in the (frown) muscle, making it less strong. You will hardly feel these little pricks. To specifically adapt the treatment to you, Ludy will ask you to keep a diary in which you can indicate what effect the treatment has on your headaches. The treatment is not experienced as painful. The effect of the treatment is always temporary (2 to 6 months). Many people suffer from excessive perspiration or sweating. This can affect both men and women. The armpits, hands but also the face show increased sweat production, sometimes accompanied by an unpleasant odour. This is very annoying and can have a significant impact on a person’s social life. The medical term for excessive sweating is hyperhidrosis. Some health insurance policies offer reimbursement for this medical treatment. The cause of excessive perspiration is difficult to determine. Fortunately, a Botox armpit treatment works well. An armpit treatment consists of the injection of small quantities of Botox. Botulinum toxin ensures that the excessive sweat production is reduced by about 95%, without affecting the regular perspiration elsewhere in the body. The normal sweat production that serves to secrete waste materials remains intact as usual. The treatment is sometimes referred to as BotoxDry. During the hyperhidrosis treatment, Ludy will give tiny injections. These injections are very superficial but can be somewhat sensitive. It is possible to lightly anaesthetize the skin with a cream, but experience shows that most patients do not experience much discomfort from the treatment. The result will be visible after approximately 2 days. After 2 weeks the optimal result will be noticed and the production of sweat will be maximally reduced. How long the effects will last is different for each person. The average period is between 6 and 12 months. After that period you can simply repeat the treatment. Does your upper lip go up just a tad too far when you smile? That’s a harmless but often inconvenient problem. The muscle that lifts up the upper lip probably works just a little too hard, giving you a gummy smile. A few small injections in the muscle, right next to the nose, will temporarily weaken it, making the lip go up less far. The effect will disappear after about 8 months, after which the gummy smile treatment can be repeated. Please feel free to come by for a Botox treatment at the clinic in The Hague or Oegstgeest. Our clinic is also near Leiden and Noordwijk. The first intake visit is always without obligation and free of charge.